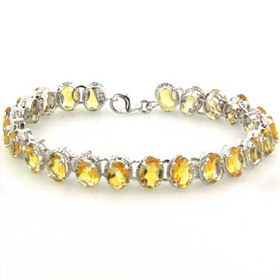 A citrine bracelet, with its intense golden shimmer, will add a touch of glamour to your wrist. 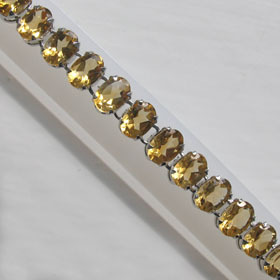 Our citrine silver bracelets are exclusive to Booth and Booth. 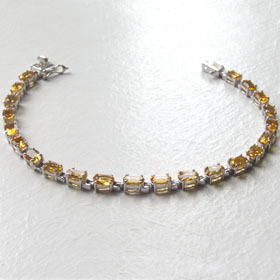 Team up with a pair of glamorous citrine earrings and a citrine pendant. 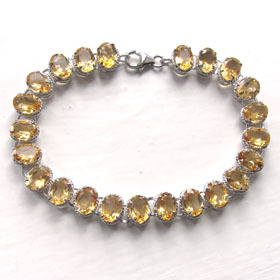 Citrine is the November birthstone - treat her to some citrine jewellery. 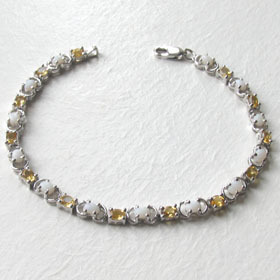 Citrine bracelet set in sterling silver .